An additional 5 participants have been added to the Participants page, generic making for a total of 58 participants signed up this year so far! The Flickr set had been set up so that you may view larger scans of all the submitted zines. Interviews and tutorials are in the works for later this week, decease so in the meantime check out this review of Jo Cook’s artsy zine “Double Never”. Zine Goal: Donâ€™t know. Shouldnâ€™t know. Itâ€™s gotta flow. If the bright yellow cover doesnâ€™t capture your attention, the contents of the zine will. As Jo explains on the last page, the zine came about with the help of a friend and the random selection of 24 books off of Joâ€™s bookshelf. 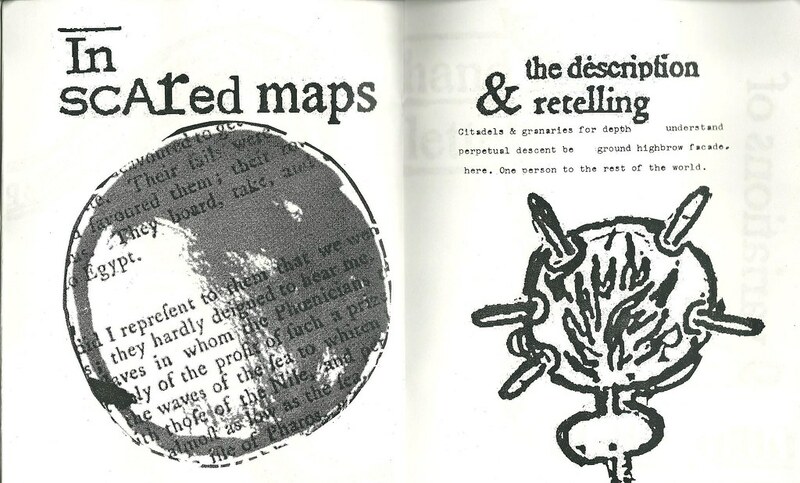 The layout of the zine is also appealing to the eye, featuring smudgy typewritten text and bold, blocky graphics. 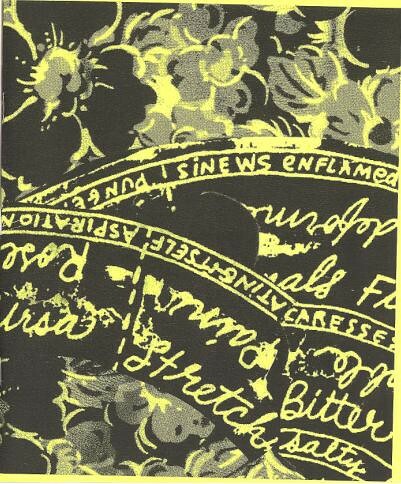 While the text may not make too much sense when taking out of its original context, pairing it with unidentifiable graphics gives this zine a neat, super artsy feel. As always, stay up to date with everything 24HZT on Facebook! Did you know that July is also International Zine Month? Set up a zine reading, check a zine swap, a cut and paste party, a zine fest, or even a simple zine workshop at your local library or community center. Write a letter to every zine you read, leave your zine at random places around town like buses, bathrooms or universities. Order zines directly from the creator, make a shirt with iron on letters that says â€œask me about zinesâ€, make buttons with phrases like â€œzines saved my lifeâ€ or â€œdo you read zinesâ€. Send out zine fliers with your mail or leave them around your town. 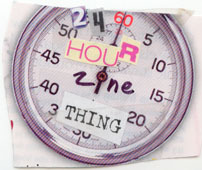 Approach shops in your town about carrying zines, donate to zine librariesâ€¦.. There is also a Facebook page to keep up with all the International Zine Month updates.